Miami is the most “tropical” place the United States. The local zoo is the only tropical zoo in the country. “Jungle Island” is an amusement park for the whole family with lots of greenery and a show with animals. Here you will find a great number of places to visit, including the largest city parks in the state, where you can swim, sunbathe on the beach, do biking, boating or spend the night at one of the beautiful beaches. Each traveler will face a difficult but pleasant problem of choice, where to go and what to see first as there are a lot of such places. That’s why this review is going to be your virtual guide. Travelers from all over the world come to the southern coast of Florida not only to soak up the clean sandy beach and swim in the turquoise waters of the ocean, but also in search of adventure and fun. The composition of the area, which length is 16 kilometers, is formed with beautiful small buildings, built in the twenties in an extraordinary “modern” style, or in other words – “Art Deco”. A distinctive feature of these structures is the rounded corners and ornaments with geometrically correct lines. It is worth noting that these wonderful houses are considered national monuments, which are gradually being restored and are painted in rich, luscious pastels. stroll along the promenade, admiring the beautiful architecture and unparalleled views. Interesting: The main attraction of the historic Art Deco District is a “line” of hotels along the coast of the ocean between the 5th and 15th streets. The most bohemian place in Miami is considered to be Street Ocean Drive. This is the most famous promenade and party place, which is located in the heart of the Art Deco. It is worth noting that in this street the famous catwalk of supermodels takes place, which began from the photo session organized by several well-known photographers photo session on the roof of the hotel “Marlin”. Since then, the Ocean Drive Street is considered to be the place of celebrities. This place has become so popular that stay in these hotels will cost 50% more expensive than in any other one. The restaurant Luciano Pavarotti, which facade is decorated with his portrait. Also here there is a magnificent small hotel, transformed into a kind of an art work by the famous Italian fashion designer Gianni Versace, who at that time was its master. 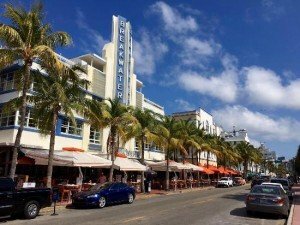 Interesting: Ocean Drive is famous for the beautiful architecture and splendid panorama. Beaches of Miami are great places to spend time actively, doing sports, and fully enjoying your holidays under the world’s best sun. 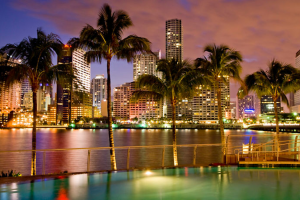 In Miami, you can find the coast for the secluded rest and for having fun pastime with a noisy group of friends. In the list of the best beaches Haulover Beach occupies a worthy place. 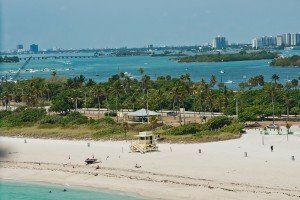 Haulover Beach Park is a beach area in a beautiful landscape in the form of a large spacious park. Haulover is located at Miami Beach between Bal Harbour and Sunny Isles Beach. or catch a wave surfing as there are all suitable conditions for this. Haulover Beach Park hosts the annual kite festival, which is organized every third Sunday in February since the opening of the park, which took place in 1992. Today it is the largest kite event in Florida. Interesting: A large area of ​​the park is a perfect place for family holidays. There are constantly different contests, competitions, master classes and other interesting events. Walking along the Lincoln Road nobody will go away without buying something- it is simply impossible to resist the beckoning showcases of boutiques. You can make a break after shopping and enjoy a cup of coffee at one of the cafes that are here almost at every corner. In addition to choosing your new wardrobe, Lincoln Road offers you to arrange a cultural program as well. This alley is a multiplex cinema with a large variety of repertoire and various concert halls. 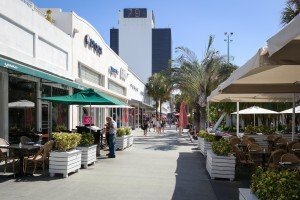 Lincoln Road is a place of gathering of young artists and talented performers, who are glad to entertain and surprise tourists and local citizens. 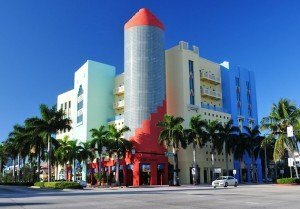 Interesting: It is worth noting that Lincoln Road is the center of South Florida arts, and in 2011 this avenue was included in the National List of Historic Places as one big shopping center. A lot of fun and interesting things await travelers and tourists on the Island Jungle, which is one of the most popular and lively Miami attractions. The island is inhabited by a huge variety of flora and fauna, collected from different parts of the world. This scenic “paradise” of incredible beauty was created more than 75 years ago by Franz Scherr, who tried to realize his dream – to create a park where rare birds can fly without any hindrance, as in vivo. Therefore, today the most striking decoration of Jungle Island is a variety of bird species with the most bizarre colors of feathers. In addition to the beautiful birds the park is inhabited by rare species of animals and unique plants are growing here. watch the lives of rare animals, birds and plants that are in conditions similar to the natural. There are permanent performances, involving animals, such as “The Tale of the Tiger”, starring the lions, tigers, and Ligers. Interesting: There is a famous «Pepsi Parrot Bowl» – theater of the trained parrots that are happy to sing you an aria. 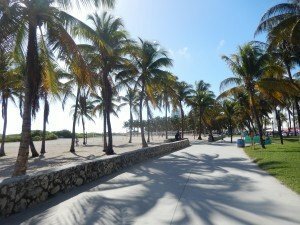 The most beautiful attraction of Miami is Park Lummus, which is a long strip along the ocean. On the territory of this cozy and well-groomed park it is very nice to walk around and enjoy pure fresh air and the breeze from the ocean. The special charm of this place is given by tropical plants that are planted around the perimeter. Due to the large number of green plants, there is almost always comfort and coolness, which is very important especially in hot days. In the park there is a wonderful playground, where you can play a variety of active and fun games, including beach volleyball. And here you can rent a bike and ride with the wind, looking at the magnificent views and panoramas. Lyummus Park is a great place for families with children, the area is equipped with good playgrounds, complies with all European norms and standards. Sure, it’s a big plus for a child who is having fun, and mom, who will be able to fully relax. Interesting: In addition, the park has its own beach where you can sunbathe and swim in the warm ocean under the close supervision of lifeguards. 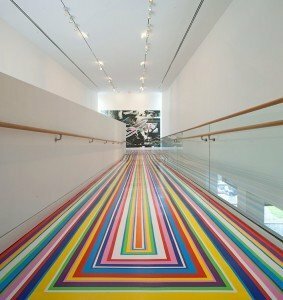 There is an extraordinary cultural heritage of Miami Beach, which is the building of the Museum of Art of fairly modest size. But despite its small size, it contains a huge number of expositions that can surprise even the most demanding visitor. Museum shows include various tapestries with religious content of Renaissance Haitian art in the style of Voodoo and other wonderful works. and other artists of the past and modern era. The museum is located in the former public library. The museum has a lot of different sculptures, which are from the very threshold portend interesting pastime. Interesting: The construction itself is a work of art. It is made in a sleek art deco style with the well-visible features of modernity in the decoration of the facade. During vacation and traveling everybody should feel happy, including children. 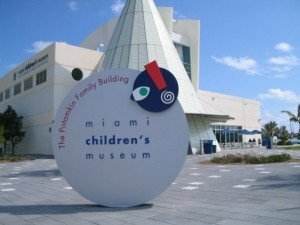 For this purpose, Miami Children’s Museum has been created. It is not so much a museum in the traditional sense, but a miniature town where the child will be able to try a variety of roles and get a lot of vivid and memorable experiences. In this museum the children are discovering the unique opportunity to acquire new and useful knowledge about the adult life in a fun and entertaining way. Children can dress up in bright beautiful costumes of firefighters, police officers, sailors, etc. and realize their fantasy games. There is even a tiny port with its own liner. Young naturalists may watch animals and even feed them. For children with creative mind there is a small studio in the museum, where you can be reincarnated into a movie star, producer or reporter. The list of all possible classes can be continued, but there will be interesting to everyone without exception – both children and adults. Interesting: For active children there is even a 9-meter high rock for climbing and quieter guys can devote themselves to art therapy. In Miami, there is a memorial to the Holocaust, which makes all its visitors simply drown in compassion to the people who were killed during the Nazi extermination of the Jews. The monument is a magnificent architectural complex, designed by the talented American artist and sculptor Kenneth Treister. Memorial appeared thanks to savings of the Rothschild family. 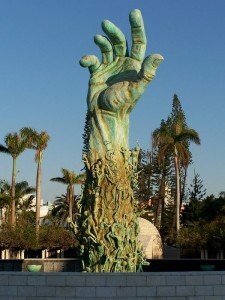 It is designed as a huge hand that reaches for the sky with a questioning gesture. Construction of the monument to respect the six million dead Jews lasted for five years. The final composition of the memorial is formed with a semicircular colonnade of the classical light Jerusalem stone, perfectly round pond with constantly blooming snow-white lilies, and an island in the center of the ensemble with a sculpture of outstretched hands waiting for help, which is surrounded by the figures of the victims in full height. Memorial makes an indelible impression. The narrow dark corridor of Jerusalem stone is leading to the island, the walls of the corridor are engraved with the names of the concentration camps. At the end of the corridor in the dim light, you can see and hear a crying baby sculpture, whose sobs are intensified as you approach. Interesting: Holocaust Memorial in Miami is an incredible work of art that not only impresses with its beauty, but also makes you think about the value of life. 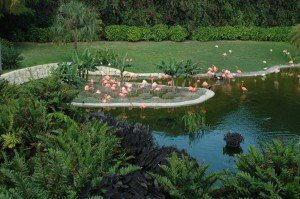 Among the palm trees and sand of South Florida, in the city of Miami, there is an amazing place – Morikami Museum and Japanese Gardens. The complex was opened thanks to the efforts of George Morikami, it was named in his honor. The history of the park is long and complicated. 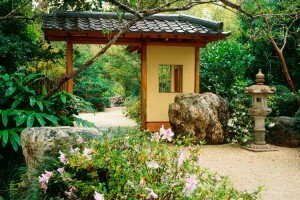 There was a period when Japanese lived there, they wanted to organize their colony and live like at home. It did not work out, everybody dispersed to the far corners of the country, only Morikami stayed and worked for a long time, eventually achieving success and recognition. In 1990 he donated to the city a large plot of land with the condition that there would be something resembling his homeland and as a result this Museum and Gardens appeared. a cafe, which menu includes sushi as the main food. Interesting: The work on the expansion of park space was completed in 2001, today the area includes six Japanese gardens, each of them is made in accordance with the tradition of landscape art of Japan. 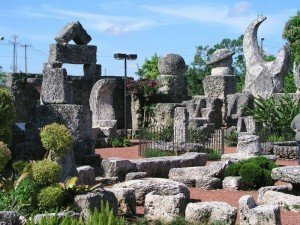 In the south of Miami, Florida, there is a mysterious attraction called Coral Castle. Its uniqueness is that it was built by one person without the use of construction tools. Ed Lidskalninsh, a native of Latvia, arrived in the United States and created a home and family for many years in the early 20th century. He created this miracle in honor of his beloved, who denied him before the wedding. Today, this building declared a national treasure of the state as a museum. The castle was made of coral limestone blocks of enormous size, which were brought from the coast. How Ed managed to move them and raise still remains a mystery today. In the area, surrounded by a wall, you can get through the huge gates, they are strengthened in this way, that rotate around the axis of a light push. The first thing that visitors see is giant stone statues. Among them are Saturn and Mars, we can see the crescent pointing to the North Star. Under the ground there is a swimming pool where the water is going to rain. There is an open-air space for children inside the castle that is decorated with figures of fairy-tale characters. Nearby there is a bedroom with a bed of coral and a living room with a stone throne. The table, which is located in the center of the room, is shown in the form of the heart in the center with the red flowers planted by Ed. This Valentine is the largest in the world. Interesting: The founder’s height was 152 cm, weight – 45 kg, in addition, he suffered from advanced tuberculosis, thus created a building, which weighs more than 1,100 tons! Once upon a time in Spain, in the province of Segovia there was the monastery of Our Lady Queen of Angels. It was the 12th century, the Order was led by Bernard of Clairvaux. After his death he was declared a saint, and the monastery was renamed in honor of St. Bernard. It was under the guidance of the Order during the 7 centuries, until there was a revolution of 1830-ies. The building was confiscated, sold and turned into a warehouse. In 1925, an admirer of the art of the ancient people, Hearst bought this building. The complex was dismantled into pieces, each stone was numbered and wrapped in hay, for further identification the directory was created. The entire monastery was packed in boxes, some weighed 1, 5 tons, and sent to the United States. However, there has been quarantine because that’s when the epidemic occurred in Spain. Only in 1952 they were bought as a tourist attraction by Raymond Moss and William Edgemon. It took many months to collect the mysterious “puzzle” and 1, 5 million dollars. Today the monastery is in the North America, and is the oldest building on the continent. Today it is often used for weddings and receptions. There are many tourists who want to see it. One of its most beautiful places is a chapel. 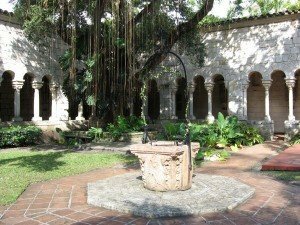 Interesting: Spanish Monastery is included in the register of historic structures and unique attractions.